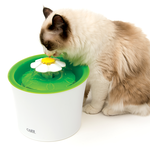 Your cats will LOVE taking a drink from the Catit Senses 2.0 Flower Water Fountain! 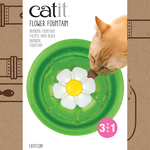 This adorable fountain has 3 water flow options for every cat: Gentle Flow, Bubbling Top, and Calm Streams. 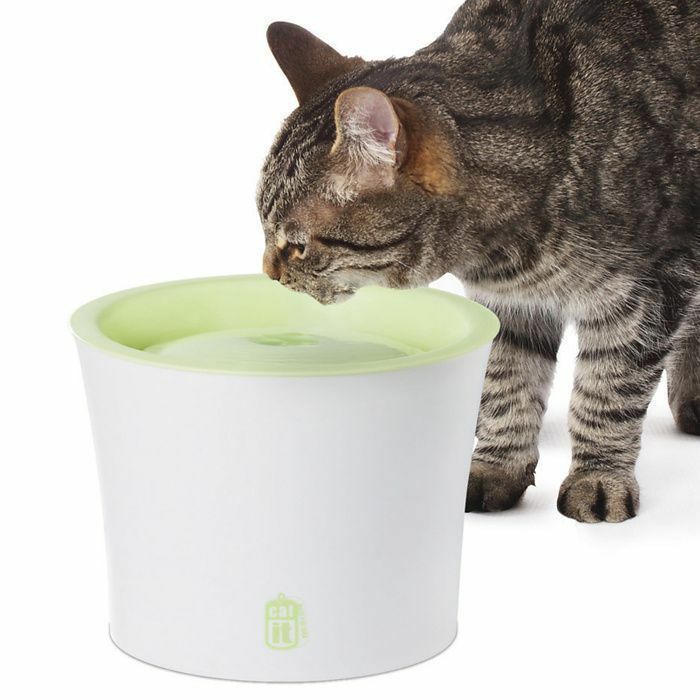 Water fountains are beneficial for cats as the running water encourages them to drink more, keeping their kidneys and bladders hydrated and flushed. 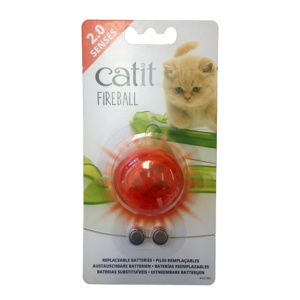 Regular drinking helps with kidney function and prevents crystal formulation that can lead to urinary diseases. 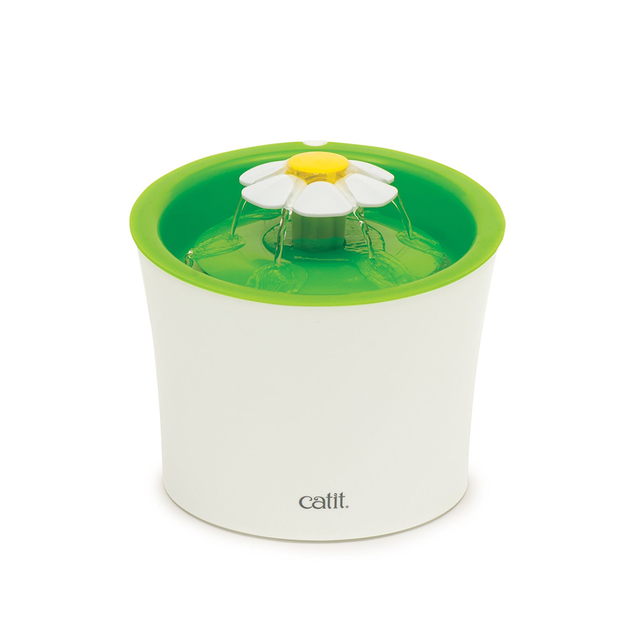 The fountain design holds 3 Litres of water and the reservoir is made of opaque plastic, which keeps the water fresh for longer. 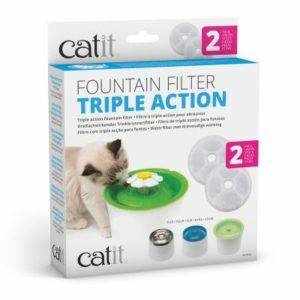 A low-powered, long-lasting electric pump (3.5W) keeps the water moving, and a dual action water softening filter continuously purifies the water (refills are purchased separately). 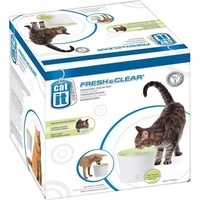 This product is easy to take apart for cleaning and refilling the filter. 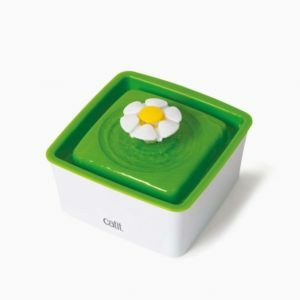 Cleaning is done by simply washing each part by hand with a natural soap.